These offers are free with the purchase of the Fuji Origamo 1.1 (2016) Bicycle. 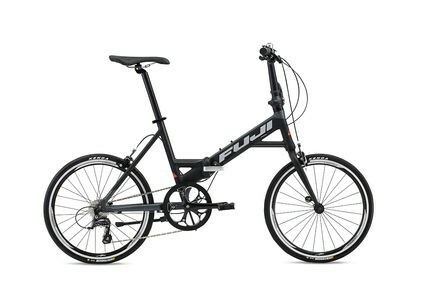 The Fuji Origamo 1.1 (2016) Comes with a folding alloy frame with replaceable hanger. The Fuji Origamo 1.1 (2016) comes with Shimano Sora rapid fire with optical gear display shifters and a shimano sora 9-speed rear derailleur. The Fuji Origamo 1.1 (2016) comes with rim brakes and alloy brake levers. The Fuji Origamo 1.1 (2016) comes with hi-ten steel straight bladed with a rack mount fork. The Fuji Origamo 1.1 (2016) comes with Kenda 20 inch tires and Vera Corsa rims. The Price of the Fuji Origamo 1.1 (2016) is Rs.49990. This is a urban folding bicycle that is built for the person on the move. This could your best friend if you have to commute from home to a metro station, and then to your work, and all the way back. The utility of being able to fit this bicycle in small spaces along with the folding options, makes it suitable for city commuters who want an option for last mile connectivity. 2. In what condition will I get the Fuji Origamo 1.1 (2016)? 6. How will I know if Fuji Origamo 1.1 (2016) will fit me without riding it? 7. How long will it take for me to receive the Fuji Origamo 1.1 (2016)?